WHAT? A CS Lecture at BURNING MAN? Ridiculous. What crazies are organizing this absurd idea? Yes, BMan is a superlative, fascinating, creative Art Festival. For 4 years I’ve attended to support our son’s large theme camp, flying in his banquet food and décor. I’ve experienced some outstanding healings there, but as a devoted, active lifelong CS, I’d never condone a CS Lecture or even brief stage presentation at BMan. WHY? True, the basic philosophy requires brotherly kindness, strict conservation, self-reliant living, banning profiteering, respecting multi-culturalism, intellectual talks, focus on dancing and symbolism of destruction of the past year’s negative events to be free for fresh, positive experience. However, the emphasis on total freedom of lifestyle, usage of alcohol and drug abuse, and immodesty by a significant number in a city of 60,000:- it all seemed to me licentious, inappropriate, and offensive for offering pure CS. WHEN? As I learned of the extremely loving, well-organized, and spiritual purpose of the lecture organizing team, the motives began to shine as so pure, so filled with spiritual light and Christly compassion to “give a cup of cold water” in the hot desert of humanity escaping from unresolved problems, I began to reach out for how I could help, though not attending. MBE does counsel us “Never breathe an immoral atmosphere unless in an attempt to purify it” (S&H 452:14-15).What about praying (Hymn 144) “In atmosphere of Love Divine, we live and move and breathe”? What right did I have to take offense? Again, our Leader advises in “Taking Offense” (MiscWr 223-224) that we CAN go forth into the wide world of diverse cultures, opinions, ceaseless interactions with dynamic spiritual patience, magnanimity, genial temper, and charity broad enough to cover the whole world’s evil (my paraphrasing). RESULT? Had a totally different perspective, so I found a way to support all CS activity with enthusiastic prayer-watching over the lecture & other times. As we know, the fruitage was excellent with healing and great joy! Deepest gratitude for excellent team-planning, organization, choice of lecturer, — specially the shared inspiration before — a superb unfoldment of relevant, fresh, humorous ideas. MON – 1 am Gather for departure, 2 am Leave for Reno. Sunrise, arrive Reno, visit, finish driving back to Berkeley. Prayer Watch signup here if you’d like to support us that way. Our Camp playa cards to hand out at Burning Man – Sweet! Are you willing to become like a little child? How does childlike trust connect you with your inner source, your creator, God, Love? What is your concept of prayer? Should we expect healing when we pray or think about our relationship with God, who is Life? What is truth that is universal and unifying? When we accept God as Love and Life, we may experience more love and vitality. Come and explore these ideas with a lecturer who herself questions these ideas. 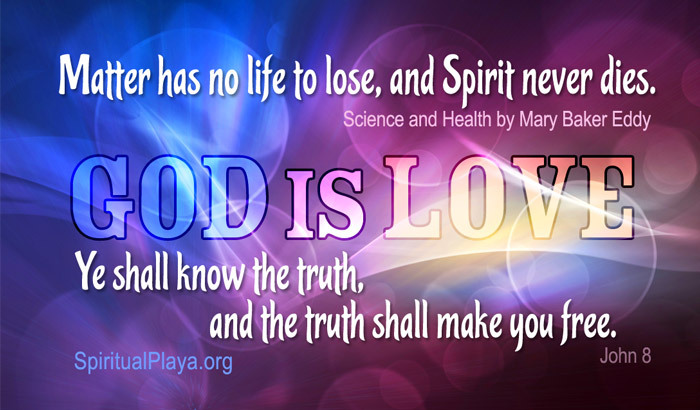 She was inspired by many healing accounts in the Bible and especially the words and works of Christ Jesus who understood the relationship between consciousness and healing. Come join us on Wednesday at Red Lightning! Would you like to support our efforts at Burning Man this year? Nice talk about traveling light and thinking about what we carry mentally in our spiritual backpack. 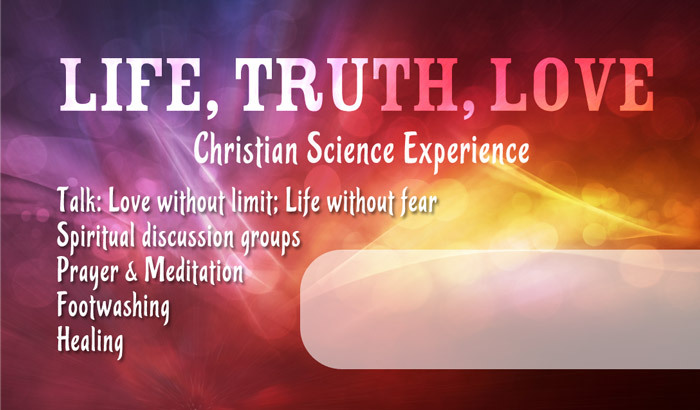 Watch this Christian Science lecture “The real you – no limitations” with Tom McElroy. This lecture was filmed at the Burning Man Festival in the Black Rock Desert, Nevada on August 29, 2012.